In order to graduate in Summer 2017, you must Apply to Graduate, and submit your Candidacy form before Wednesday, June 7th 2017; however to ensure that we meet the deadline, we ask that you submit your paperwork no later than Friday, June 2nd at 4:00pm. Failing to meet the deadline will delay your graduation and result in late fees. Your advisor will then sign the form and submit it to Mrs. Shelby Tate, the ICL Graduate Coordinator. You MUST complete this process to receive your certificate. If you are graduating with a Master’s or doctoral degree this semester along with your IDT Certificate, you must also submit the corresponding Degree Candidacy Form along with your Graduate Certificate Candidacy Form. Directions for filing for your Master’s or doctoral graduation are below. Begin by Applying to Graduate (see directions). Then, email your completed M.S. Degree Planning Sheet, Master’s Degree Candidacy Form (click for directions), and Course Substitution Form (if applicable) to your advisor. Your advisor will sign it and send it to Mrs. Shelby Tate, the ICL Graduate Coordinator. Students completing the IDT Certificate this semester MUST also submit the Graduate Certificate Candidacy Form as described above. Begin by Applying to Graduate (see directions). Then, email your completed Ed.D. Degree Planning Sheet, Doctoral Degree Candidacy Form (click for directions), and Course Substitution Form (if applicable) to your advisor. Your advisor will sign the forms and send to Mrs. Shelby Tate, the ICL Graduate Coordinator. Students completing the IDT Certificate this semester MUST also submit the Graduate Certificate Candidacy Form as described above. Click on Step 2 – Apply to Graduate to complete application. Proceed to Step 3 – Diploma Mailing/Cap and Gown form. All students are required to complete both the Diploma Mailing and Cap and Gown form, even if there are no plans to attend graduation exercises. For students completing only a graduate certificate program, there will be no access to the Cap and Gown portion as certificate students do not participate in graduation. Contact Mrs. Shelby Tate in the ICL Graduate Services Office for assistance. You must be fully admitted to the IDT Graduate Certificate, Master’s degree, or Doctoral degree before filing your graduation application. We are excited to announce that two of our students were honored at yesterday’s College of Education Awards Ceremony. It’s an annual event and reception held in the Rose Theatre on the university’s campus. Please join us recognizing these two individuals for their exceptional work. Kevin Smith received the award for Outstanding IDT Doctoral Student. Travis Krouse received the Outstanding IDT Master’s Student award. IDT student Daniel Taylor received a first place award in the education division at the University of Memphis Student Research Forum. The Forum, held on Monday, March 28th, is an annual event which showcases the diverse research of undergraduate and graduate students. The purpose is to provide a venue for students matriculating at the University of Memphis to present their research to a panel of faculty judges in their respective disciplines. This forum enables students to develop their presentation skills and present their research in a formal, supportive environment. 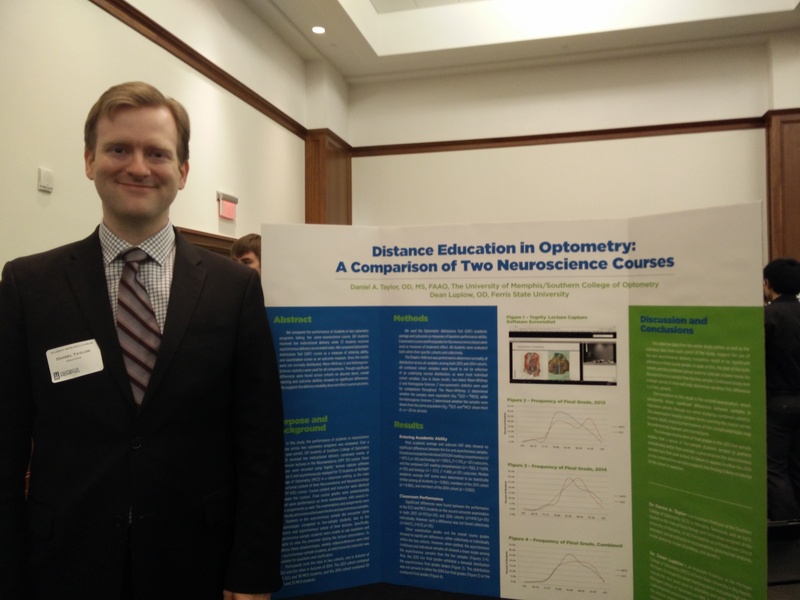 The winning entry, Distance Education in Optometry: A Comparison of Two Neuroscience Courses, was judged on conception and execution, content, command of scholarship, and visual presentation. 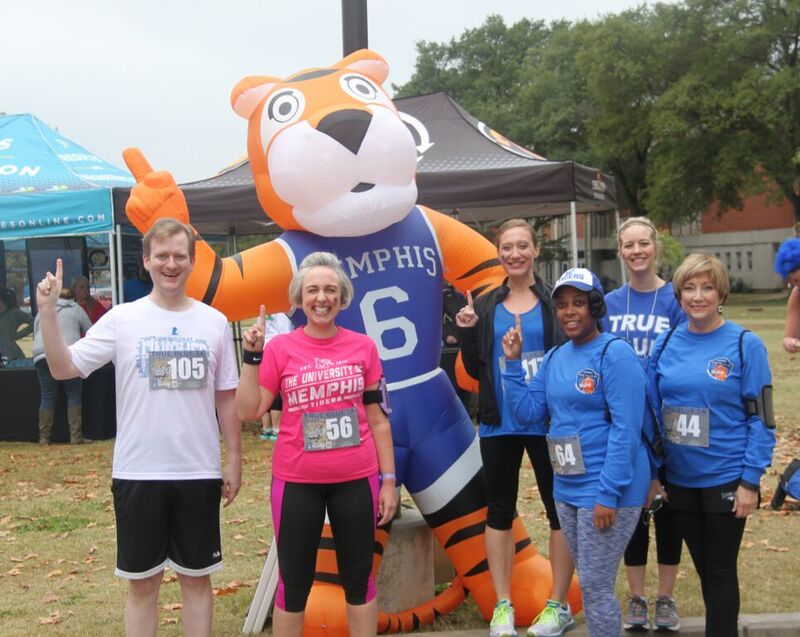 IDT students, faculty, and alumni participated in the 9th annual True Blue Tiger 5K. The race was held on Sunday, November 1st and was a kickoff event for Homecoming Week. The IDT group received a plaque at the race for being campus organization with the largest presence at the event. 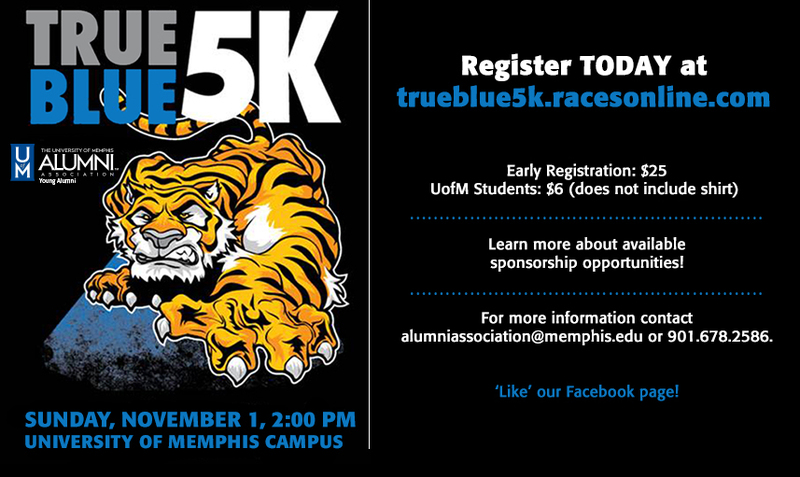 Join the IDT program for the 9th Annual True Blue 5K! This year’s event will be held on Sunday, November 1st, at 2pm. Faculty, students, alumni, and friends and family of the IDT program are encouraged to participate. When you register, be sure to select IDT Memphis as your Team and Group. You can register as a participant for $25, a student for $6, or a Spirit Runner for $15. Don’t delay as the price increases on October 25th. Be sure to let us know when you have registered so we can include you on information about meeting up pre- and post-race! You can email Carmen Weaver at carmen.weaver@memphis.edu. Education: Bachelor’s degree in Instructional System Design, Education or another related field. Training and Experience: A minimum one (1) year experience in designing/programming with Adobe Flash and ActionScript or equivalent. Expert level certifications in Instructional Design, with an emphasis on eLearning. A minimum one (1) year designing interactive eLearning applications for web, desktop, and/or mobile platforms. General Skills: Solid understanding of instructional systems and adult learning theories. Must be proficient in developing training assessments/measurements. Must have experience storyboarding and/or prototyping. Must be able to prioritize tasks, possess excellent interpersonal and communication skills, highly organized, ability to handle multiple tasks, detail oriented and work with little to no supervision. Computer Skills: Proficient in MS Office, Word, PowerPoint, Excel and Publisher. Proficient with Adobe products such as Flash, Fireworks, Dreamweaver, FlashCaptivate, and ActionScript 3. Desired Skills: Prior teaching experience in a classroom environment. Have a working knowledge of programming principles (variables, functions, arrays) and how to apply them in eLearning activities. Working knowledge of Learning Management Systems and collaboration/social learning tools. Knowledge of SCORM/AICC and student metrics/. Consult with Subject Matter Experts (SME) and peers to determine optimal lesson flow. Perform and/or lead training as required. Establish overall learning objectives and strategies of learning for assigned projects. Design, develop and maintain eLearning applications tailored to meet course syllabi. Leverage the latest interactive learning techniques. Manage assigned eLearning projects designed for web, desktop, and/or mobile platforms. Collaborate with other team members, work on multiple projects simultaneously, participate in team project planning,. 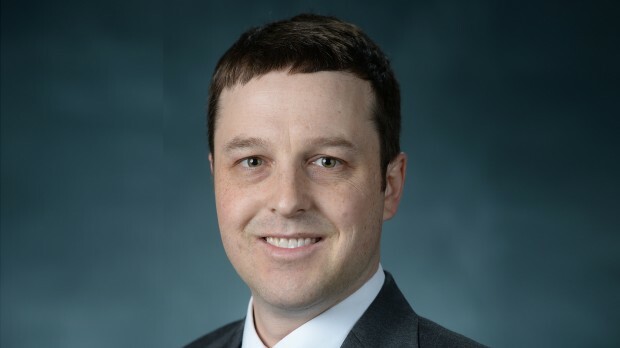 Mississippi Teacher Corps veteran Joseph Sweeney has joined the University of Mississippi School of Education faculty as director of the highly selective teacher preparation program. Sweeney, who took the helm of theTeacher Corps on March 16, is in the midst of preparing for the program’s 26th cohort of new recruits who will undergo hands-on teacher training during the program’s summer training school in Holly Springs in June and July. Established in 1989, the Teacher Corps, which receives its primary funding from the Mississippi Legislature, is an alternate route program that prepares college graduates to teach and succeed in secondary, critical-needs schools in the state. The program provides job placement with full benefits and salary upon finishing its summer training school. Each year, the summer school calls upon Teacher Corps alumni and UM education faculty to expose the new cohort to skills and tactics they will need as teachers in the state’s most challenging middle and high school classrooms. The Teacher Corps, which can accept up to 35 new recruits a year, requires teachers to complete graduate coursework at UM to earn a master’s degree in curriculum and instruction over two years. Graduates also qualify to apply for an advanced teaching license from the Mississippi Department of Education. More than 600 teachers have come through the program. Sweeney, a native of Traverse City, Michigan, joined the Teacher Corps in 2004 and served as an English teacher at East Side High School in Cleveland. He later served as the principal for the Teacher Corps’ summer school for three years and was an adjunct faculty member in the UM School of Education, continuing his connection to the program. Before joining UM, Sweeney was an instructional designer and faculty development coordinator at Baptist College of Health Sciences in Memphis, Tennessee, where he worked with faculty members in health care professions to develop and/or redesign curricula to utilize online, face-to-face and hybrid models. Sweeney has also held teaching positions at H.W. Byers Attendance Center in Mt. Pleasant, Byhalia High School in Byhalia and WinBe English School in Mie, Japan. This spring, Sweeney expects to complete a doctorate in instructional design and technology from the University of Memphis. He also holds a master’s degree in curriculum and instruction from UM and a bachelor’s degree in English education from Michigan State University. holders brings respect to an organization’s talent development function and helps to ensure successful learning programs and organizational impact,” she adds. “As the association dedicated to the talent management profession, ATD is at the forefront providing information on the critical skills and abilities that practitioners must have to succeed in the field,” says Tony Bingham, president of ATD CI. “The CPLP credential was built to provide talent development professionals with a means by which to increase their knowledge, competence, and confidence while proving their worth to employers,” he notes. More information about the CPLP program may be found at td.org/cplp. Additional questions should be directed to: certification@td.org. ATD is the world’s largest association dedicated to talent development professionals. ATD started in 1944 when the organization held its first annual conference. To support members’ ongoing development in the field, ATD formed the ATD Certification Institute (ATD CI) to take the lead in setting professional industry standards and certifying talent development professionals.